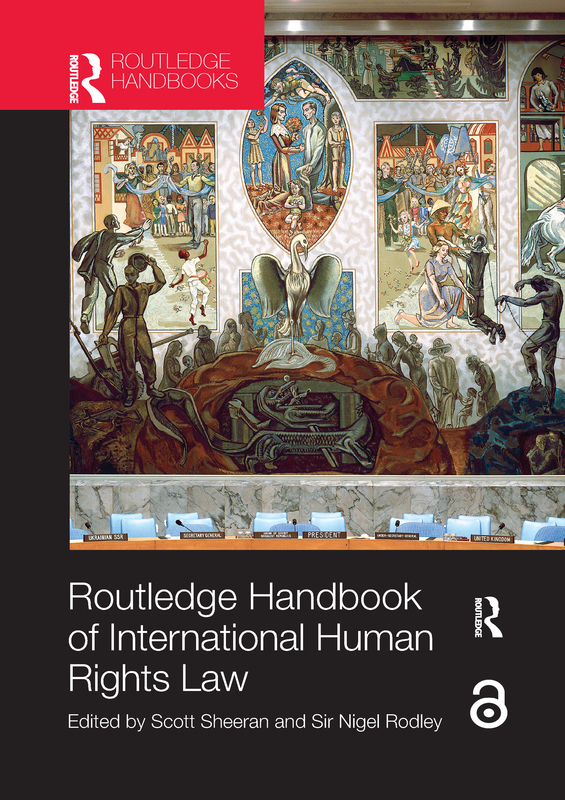 The Routledge Handbook of International Human Rights Law provides the definitive global survey of the discipline of international human rights law. Each chapter is written by a leading expert and provides a contemporary overview of a significant area within the field. As well as covering topics integral to the theory and practice of international human rights law the volume offers a broader perspective though examinations of the ways in which human rights law interacts with other legal regimes and other international institutions, and by addressing the current and future challenges facing human rights. The nature and evolution of international human rights law discussing the origins, theory and practice of the discipline. Interaction of human rights with other key regimes and bodies including the interaction of the discipline with international economic law, international humanitarian law, and development, as well as other legal regimes. Evolution and prospects of regional approaches to human rights discussing the systems of Europe, the Americas, Africa and South East Asia, and their relationship to the United Nations treaty bodies. Key contemporary challenges including non-State actors, religion and human rights, counter-terrorism, and enforcement and remedies. Providing up-to-date and authoritative articles covering key aspects of international human rights law, this book work is an essential work of reference for scholars, practitioners and students alike. Chapter 35 of this book is freely available as a downloadable Open Access PDF at www.routledgehandbooks.com. It has been made available under a Creative Commons Attribution-Non Commercial-No Derivatives 3.0 license. The relationship of international human rights law and general international law: hermeneutic constraint, or pushing the boundaries?